Dr. Patricia Pasick :: author, therapist, trainer in family therapy and transitions. With a focus on UNTOLD STORIES, I help people express the unspoken, unnoticed, or unheralded stories of their lives. San Francisco, CA. On October 28, in Tempe, Arizona, Encore.org will honor the achievements of 38 Purpose Prize fellows, social innovators over 60 years of age who are dedicated to finding solutions to challenging social problems, including Patricia Pasick, Ph.D., Founder and Director of Stories For Hope Rwanda. ”To have lived and worked with young people in Rwanda, to have been witness to the astounding resilience and breathtaking stories of survival among elders and youth, and to have brought these accounts forward in a collective archive—this privileged experienced has been central to my life after age 60. Dr. Pasick is accepting new clients, after a leave of absence to work in Rwanda. Dr. Pasick has won a 2010 Humanitarian Service Award from the University of Michigan School of Literature Sciences, & the Arts, for her work to establish Stories For Hope Rwanda. A presentation on intergenerational transmission of trauma was accepted , for presentation at the 26th Annual Meeting of International Society for Traumatic Stress Studies in Montreal (2010). Dr. Pasick, with a team assembled in Rwanda, completed a 3-week trip to Rwanda to implement two grants: one to follow-up participants from 2009, the other to begin a new action/research project in Byumba. In May, 2010 Dr. Pasick met with faculty from the University of Leiden (Netherlands) to collaborate on a reconciliation project in Byumba, Rwanda. Stories For Hope Rwanda was part of a grant awarded to David Wallace, Ph.D., University of Michigan School of Information, to help archive genocide & recovery stories in Rwanda�s national archive Rwanda, and on the Internet. Pat applies to deliver a workshop on Helping Parents Understand Ethnic Identity at the 2009 APA conference. Collaborators at Eastern Michigan University, and the University of Michigan, meet with Pat to apply for grants to help fund Stories For Hope (SFH). The Ministry of Sports and Culture (Rwanda) signs a Memorandum of Understanding with Stories For Hope, and agrees to fund start-up costs. Pat's new book project, Preparing the Way: Raising Strong Children in a Still-Racial World, is shopped among publishers. In NYC Pat meets with her new literary agent, Anna Ghosh, partner at Scovil, Gavil, and Ghosh. Pat expands her professional network, joining the Asian-American Psychological Association, and the National Assoc. for Multicultural Educators. Stories For Hope-Rwanda (SFH)is certified by Rwanda, to be an International Non-governmental Organization (INGO). SFH sets up an office in the Remera sector outside Kigali. SFH hires Evas Kyomugisha as in-country director, and John Bosco Bugingo, as attorney. On a fourth visit to Rwanda, Pat obtains a Letter of Agreement from the Ministry of Sports and Cultur, to conduct the pilot of Stories For Hope. An Emmy award-winning producer begins talks with Pat about a documentary of her work in Rwanda. Pat begins a writing collaboration with the brother of a Rwandan genocide victim. 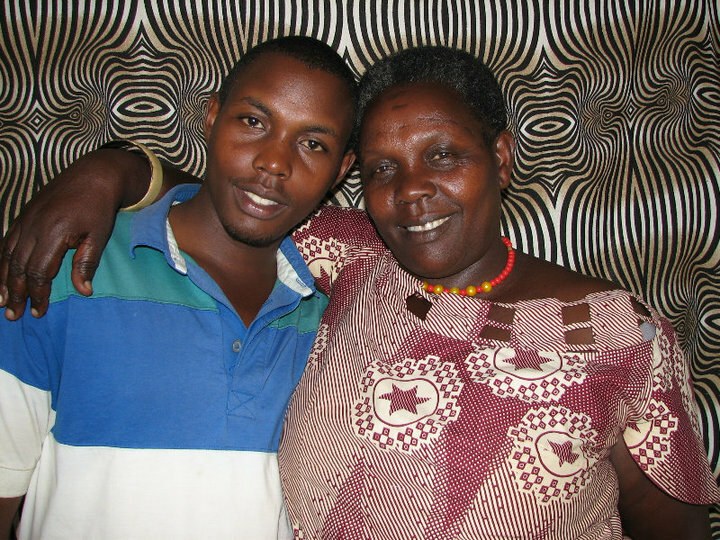 On a fifth trip to Rwanda, Pat obtains fund for the pilot of Stories For Hope. Pat meets Dave Isay, founder of StoryCorps, and makes her own tape with son Daniel, in Lower Manhattan. The President of Rwanda, Paul Kagame, receives Pat's draft of "The Origins of Leadership: Personal Stories from the Top 100 Leaders in Rwanda. "Re-Storying Rwanda" The Republic of Rwanda considers Patricia's proposal to bring a mobile storytelling unit around the country, to help Rwanda's first generation to be born after the genocide. Patricia makes a third visit to Rwanda, delivering over $4500 in donations to 15 school children needing tuition assistance, penpal letters from three Michigan schools, and a mental health proposal to the Ministry of Youth, Sports, and Culture. Work on leadership stories continues. Visit to StoryCorps headquarters in New York. ©2019 Patricia Pasick, PH.D. All rights reserved.